Lot Detail - 1979 NCAA Championship Finals and Semi-finals Basketball ticket stubs Magic vs. Bird WOW! 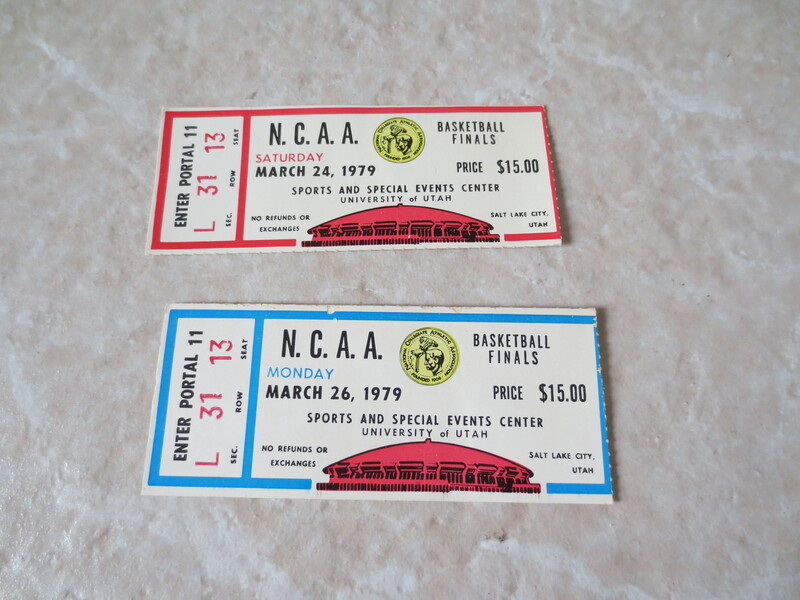 1979 NCAA Championship Finals and Semi-finals Basketball ticket stubs Magic vs. Bird WOW! 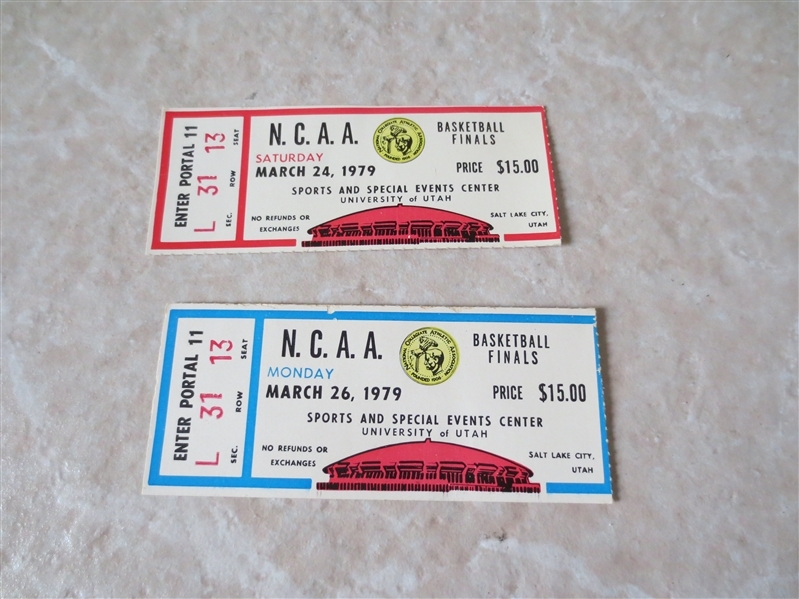 What we have here are ticket stubs from the 1979 NCAA Championship Finals and Semi-finals dated March 24 and 26, 1979 played in Salt Lake City, Utah. This was THE SERIES that had Michigan State with Magic Johnson vs. Indiana State with Larry Bird! Michigan State wins. In the consolation game for the remaining two teams (#3 and #4) it was DePaul vs. Penn. 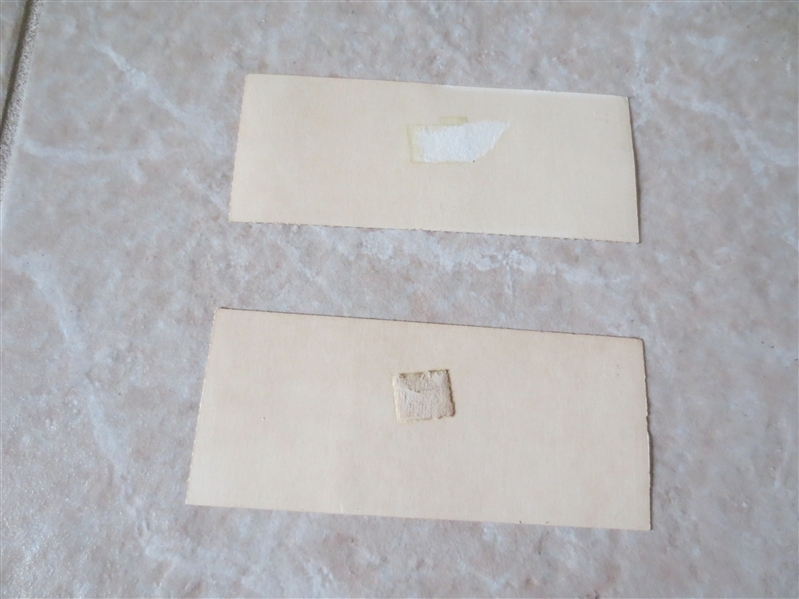 The ticket stubs look very nice but there is some tape damage on the back (see photos).